Star Radio is the local commercial radio station for Cambridgeshire. Our business also includes the website starradioonline.com and our social media platforms along with the small scale DAB multiplex Cambridge Digital Radio. This Privacy Statement explains how we collect and use information about you when you interact with our radio station or this website. This could be through smart speakers, when you enter one of our competitions, or when you engage with our charity activities or commercial team. When you click on adverts or links which take you away from the Star Radio website or mobile app, you should know that we have no control over the content or privacy practices of those other platforms. We advise you to check their privacy policies before providing your information to them. If you call or email Star Radio we may also collect your location and a brief summary of your contribution or opinion. To analyse and improve the service we offer. We only use information on an aggregated basis which does not identify individuals. The information is retained only kept for as long as necessary before being deleted. 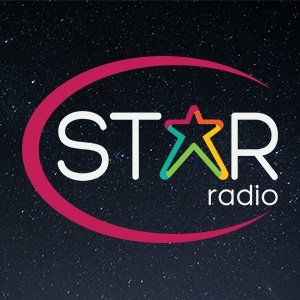 Star Radio has a legitimate interest in protecting its assets, employees and audience from fraud and, in certain circumstances, we may also have a legal obligation to prevent fraud or money laundering. We will take action to minimise any privacy intrusion when investigating suspicious incidents. Star Radio has a legitimate interest in ensuring our staff are fully trained and expert in their respective roles. This may mean having access to personal information, but the extent of this access will be determined by the role of the individual. All our staff receive training in information security and data protection and are subjected to confidentiality obligations. Star Radio is bound by the broadcast regulator to ensure our broadcasts are free from offensive or provocative remarks and that our staff and presenters are not subject to verbal abuse. If you call into the station and make offensive remarks, we will keep a record and block further calls from you. Records of abusive callers are only available to a limited number of staff. To assist us in our marketing, including OBA, and to ensure that you receive adverts and other information that is relevant to you, we may collect your data from trusted third parties. for example, when you’ve entered a competition or completed a survey or questionnaire and have agreed that this data may then be shared with others including Star Radio. This information may include details about our users’ demographics, interests and classifications and be used to place users in particular groups or segments for targeting advertising. Some of this information may also have come from publicly available sources. We may share personal information with providers who perform services on our behalf. They will only receive the information that is necessary for them to carry out the agreed services and will only use your information in accordance with our written instructions and will have the appropriate measures in place to keep your information safe and secure. We also have partners who help us with website analytics. If you enter a contest we may, if you have agreed, disclose your information to the competition sponsors. If you are a prize winner, we will give your information to the sponsors and share your information with the parties who assist us in providing prizes to the winners. We may share anonymous statistics about our users, sales and traffic patterns with advertisers and other third parties. It will not be possible to identify you from such information. For example, we might report to potential advertisers that a certain percentage of our users are interested in its products, based on information requests. Some of this information may be collected using cookies as described above. We will only keep your information for as long as we need to – for example, we will keep your information three months if you enter a website competition to 13 months if you call into one our radio shows. Data Protection laws give you certain rights in respect of your personal information, as set out below: please note these rights do not apply in all cases and may only be exercised where Star Radio is the data controller for your information.